Meili Snow Mountain also named “The Prince of Snow Mountain”. It located 10 kilometres northeast of Deqin, between Nujiang River and Mekong River. 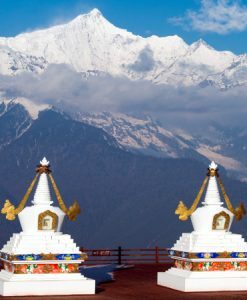 Meili Snow Mountain is the most splendid, lofty and mysterious snow mountains in Yunnan. Its thirteen peaks are situated in the average attitude of 6000 Meters, were titled as “Prince’s Thirteen Peaks”. The main peak (Kagebofeng) stands out majestically on 6740 above sea level, is accounted to be the highest Mountain among Yunnan. The highland lakes, dense forests, unique vegetation and wildlife are all the natural treasures from this mystery snow mountain. 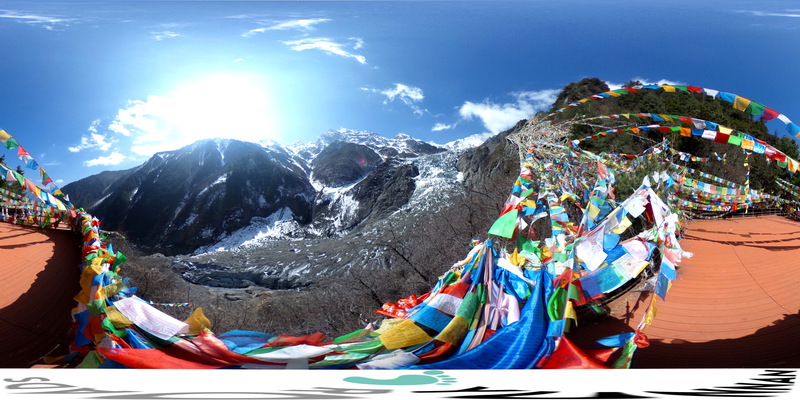 Meili Snow Mountain is either an adventurous spot for mountaineers and a scared mountain that attracts people who come from Yunnan, Tibet, Sichuan, Qinghai and Gansu to pray for blessing. There is a saying if somebody shouts to the mountain; it results in controlling the force of nature. So people are advised to keep silence during the hiking in order not to arouse the anger of gods. 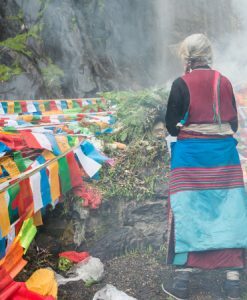 A popular hike in the Meili Mountains area will take you through Xidang, then to Yubeng Village. From there, 2 beautiful steps possible: towards a sacred waterfall or an icy lake. You can then continue to Xidang to rejoin your vehicle and continue to Cizhong or Shangri La. Access: from Shangri La, beautiful high mountain road through the Baima mountains and the city of Deqin, to reach after only 3 hours of travel, the village of Feilai, located right in front of the mountains. Large tunnels were created in 2016 and now allow for a quick 3h drive between Shangri La and Feilai Si. Possibility to extend then to the village of Cizhong in 1h 30 minutes.